Dorothy M. Pietrzak, nee Huron, age 88, passed away on February 4, 2018. 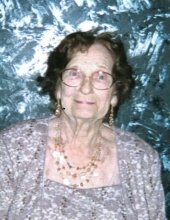 Dorothy was the beloved wife of the late Leonard; loving mother of Raymond D. (Jacqueline Sinclair) and Sandra L. Pietrzak; cherished grandmother of Michael, Lisa and Ryan Pietrzak and Daniel Carrasco; dearest sister of the late Francis Huron and Kathleen Johnson; fond aunt of many. Visitation will be Sunday February 10, 2019 from 2:00 p.m. until 8:00 p.m. at Cumberland Chapels 8300 W. Lawrence Ave., Norridge, IL. The funeral service will begin at 11:00 a.m. on Monday, at the funeral home, and we will proceed for interment at Irving Park Cemetery in Chicago. Info 708-456-8300. To send flowers or a remembrance gift to the family of Dorothy Marie Pietrzak, please visit our Tribute Store. "Email Address" would like to share the life celebration of Dorothy Marie Pietrzak. Click on the "link" to go to share a favorite memory or leave a condolence message for the family.